The winter of 1775-76 was a tough one for the British in Boston. After Gen. Thomas Gage returned to England, leaving Gen. William Howe in charge, the army did almost nothing. Like Gage, Howe thought they needed to abandon the city. The army had to take a position somewhere else that would give the army more room to maneuver. While they decided exactly what to do, the army sat and rotted away. Although reinforcements from England continued to arrive over the winter, hundreds of regulars died from smallpox, typhus, and other diseases. A lack of fresh food also led to the spread of scurvy, which only made soldiers more susceptible to die from other diseases. 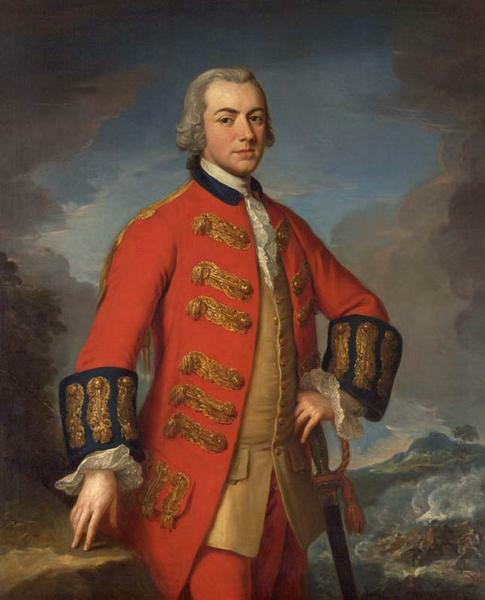 Aside from disease, everyone was desperate for food and firewood, third in command Gen. John Burgoyne got frustrated and returned to London where he could better criticize Howe’s command. Second in command Gen. Henry Clinton remained in Boston, but also clearly was fed up with Howe’s leadership. He did not want to sit in Boston for the rest of the winter, watching the army starve and die. In January, Howe agreed to let Clinton take command of a contingent of soldiers to the southern colonies. There, they thought that there was still a large loyalist contingent that could be rallied to serve the King. Gov. Josiah Martin in North Carolina had been telling everyone that he could raise 10,000 loyalist soldiers to fight for the King, if only the army would send someone to rally them. Governors of Virginia, South Carolina, and Georgia all felt the same way. Martin and the other Royal Governors, of course, were stuck on navy ships offshore, because the patriots had forced them out of the colony. But that did not dissuade them from the idea that the loyalists were just lying low, waiting for an opportunity to take up the fight. General Clinton took only a couple of companies of light infantry when he sailed from Boston. Gen. Howe in Boston was happy to be rid of Clinton. He did not, however, want to let any of his regiments leave Boston, despite the fact that they were just sitting around dying of hunger and disease. Howe still feared the Continentals might attempt to take the city. He needed to have sufficient forces to defend against such an attack. Clinton’s plan was to meet up with seven regiments of Irish infantry, as well as an artillery unit, which London had deployed as reinforcements in America. Leading this new force was a newly promoted Major General named Charles Cornwallis, who will play a big role in future events. But for now, he was bringing a contingent of reinforcements and would serve as second in command to the more senior Major General Clinton in this expedition to the southern colonies. Clinton left Boston on January 20, 1776, but only sailed as far are New York City. There, he met with Gov. Martin of North Carolina, and Gov. Campbell of South Carolina in order to assess his chances in those colonies. He also met with NY Gov. Tryon who had been Governor of North Carolina a few years prior. The plan was to use Cornwallis’ regular regiments to rally loyalist regiments in the southern colonies. They would restore power to the local governors, then rejoin Gen. Howe in the summer to recapture the northern colonies. Ahead of Clinton’s arrival in North Carolina, the British sent recruiters to enlist the loyalists who would fight with the small force of regulars due to arrive soon. As they did in Canada, the British in North Carolina hoped to recruit from among the many Scottish Highlanders who had settled in the colony. The Highlanders had shown fierce loyalty to the King and had a well respected reputation as warriors. To recruit this new force, Clinton sent two officers ahead into North Carolina to recruit men. 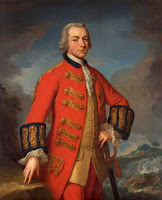 Lt. Col. Donald MacDonald, who had a long battle record, from Culloden in 1745 to Bunker Hill the prior year, and Captain Donald McLeod, also a veteran of Bunker Hill. Both men were Scots who spoke fluent Gaelic, like the Scottish settlers in western North Carolina. MacDonald had a cousin who was a leader in the Highlander community of North Carolina. Both men received brevet promotion, MacDonald to General, and McLeod to Lt. Col. to raise and command the new southern loyalist army. Almost as soon as they arrived in North Carolina, patriot forces took them into custody. However, they convinced their captors that they were simply retired officers looking to settle with friends and family in the colony. Apparently, convinced, the patriots allowed them to proceed into the Highlander communities further inland. The British officers worked with a local loyalist named Alexander McLean, who had authority from the Royal Governor Martin to commission officers to lead the new militia. They moved to the area around Cross Creek (modern day Fayetteville) and began recruiting. The officers had more to offer than simple appeals to loyalty. They offered 200 acres of land to volunteers as well as 20 years of tax exemption. They spread the word that all loyal men willing to fight for the King should meet at Cross Creek on February 5. At the meeting, loyalists could not agree what to do. Several hundred were ready to form up immediately. Others were more cautious. They did not want to make themselves targets for the patriots until there were British regulars to support them. No one expected any regulars to arrive until at least early March. By some accounts MacDonald recruited as many as 3500 men by mid-February. It seems, however, that many of the men did not stick around after they found out that there were no British regulars, only the two recruiting officers. Of further concern, they would have to fight their way to the coast, doing battle with their fellow colonists, before they could join the regulars, who might or might not be there by the time they reached the coast. Remember, many of these men have been defeated and scattered for patriot forces only a few months earlier in the snow campaign that I discussed back in Episode 77. In the end, well under 2000 loyalists stuck around and agreed to march to the coast under Gen. MacDonald. The loyalist army set off to march to the coast at Cape Fear. There, they would meet up with the regulars arriving by ship and crush the Patriot forces in the colony. That was the plan anyway. The problem was that none of this remained a secret. Patriot leaders in North Carolina received word of Gen. Clinton sailing for North Carolina, and also of the recruitment of Scottish colonists around Cross Creek. The North Carolina Provincial Congress called on its Continental regiment and supporting militia to confront the new loyalist militia. They wanted to disrupt the recruiting before the force became too large. They also wanted to prevent them from reaching the coast and joining up with the fleet of regulars that they expected would soon arrive. 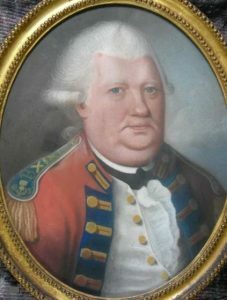 The Continental Congress had just commissioned James Moore as colonel of the newly raised 1st North Carolina Regiment. Moore was an experienced officer who had seen action in the French and Indian War and the Cherokee Wars. He served in the colonial militia under Royal Governor Tryon and helped to put down the North Carolina Regulators at the Battle of Alamance a few years earlier. But Moore was also a dedicated patriot. He had led the mobs during the Stamp Act Riots. He was a longstanding member of the Sons of Liberty and had helped to raise support for the people of Boston after Parliament closed their port in 1774. He had served in the colonial legislature, but helped organize the North Carolina Provincial Congress when the Royal Governor shut down the colonial House of Representatives. He was a member of the Committee of Safety, and helped to organize the new Continental regiment that he now commanded. By mid-February, Moore had taken his 650 man regiment into the region and looked for an opportunity to attack. Moore called on two militia regiments, one led by Col. Richard Caswell and another by Col. Alexander Lillington to cooperate in an attack on the loyalist brigade. Caswell was primarily a politician, then serving as President of the Provincial Congress, and would go on to become the State’s first Governor. But he was also a longtime militia officer. He had fought alongside Moore at the Battle of Alamance. Lillington was also a long time militia officer and colonial politician, having served along with the other two Colonels in the colonial army that crushed that Regulators at Alamance. He had also been a leader in the Stamp Act riots, served in the Provincial Congress and with Moore on the Committee of Safety. In short, all three Colonels were dedicated patriots, with military experience and knew each other well. Col. Moore had established his regiment within a few miles of the loyalist camp at Cross Creek. He set up a defensive line along Rockfish Creek and awaited an attack. When Gen. MacDonald learned of the patriots force, he sent a messenger under a flag of truce, calling on them to to lay down their arms or “suffer the fate of an enemy of the Crown.” Moore was not impressed by this bluster and sent back a message of his own that the loyalists needed to take an oath to support Continental Congress, or “be treated as enemies of the Constitutional Liberties of America.” Clearly neither side was backing down. Gen. MacDonald, however, had no intention of sending his inexperienced loyalist militia against an entrenched enemy. They had almost no time to drill and many did not even have muskets. MacDonald’s plan was to march his men to Cape Fear before engaging with the rebels. So, he marched his men down back roads toward the coast, hoping to avoid a confrontation with the patriots. This route required MacDonald’s troops to cross Moore’s Creek. There, Lillington with about 150 patriot militia had dug in on the far side of the bridge, preparing to block the Loyalists. After it became clear that MacDonald’s loyalists were headed for the bridge, Caswell brought another 850 or so patriot militia to the bridge to assist with its defense. Caswell also had a small cannon and an even smaller swivel gun to supplement his infantry. Even so, the 1600 loyalist forces outnumbered the combined 1000 patriots defending the bridge. Before Moore’s regiment caught up with them, MacDonald had a chance to destroy or capture the militia, and then force Moore to attack the loyalists from an entrenched position where they would again outnumber the Patriots. 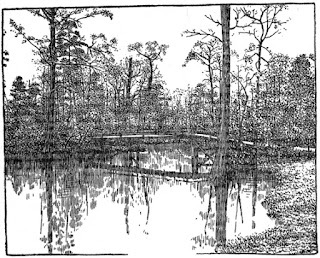 On February 26, the loyalists marched within a few miles of Moore’s Creek Bridge. Gen. MacDonald became deeply ill and had to turn over command to Col. McLeod. As they did when they confronted Col. Moore’s Continentals, the loyalists sent a party under a flag of truce to demand the surrender of the patriot militia, offering full pardon if they surrendered and declared loyalty to the King. Caswell said thanks but no thanks and told the young officer to return to his lines. The loyalist officer returned, but not before the patriots had allowed him to get a good look at their defenses. The officer reported back to McLeod that Caswell’s patriot militia had set their lines on the nearside of the creek. This meant they could not use the creek as a natural defense, and could not quickly retreat if attacked. With this bad position and with the loyalists outnumbering the patriots, McLeod decided to engage the enemy. Meanwhile, back on the patriot lines, Caswell had also apparently decided that his deployment on the nearside of the creek was, in fact, a really stupid way to deploy his lines. That evening, he moved his entire force over the bridge to the far side. They also took up the planks of the bridge so that no attacking force could rush across it. While the soldiers moved over to the far bank, they left their tents up and kept campfire burning on the near bank to confuse the attacking loyalists. McLeod marched his loyalists toward the patriot militia that night, planning to attack the camp around daybreak on February 27. When they arrived, the loyalist advance force was not sure what was going on. They saw the empty patriot camp on the near side and the defensive lines on the other side of the creek. Since both sides were militia, without flags and uniforms, they were not entirely sure who they were facing. A patriot called out and asked if they were a friend. The loyalists replied they were friends to the King and both sides quickly realized they were facing the enemy across the creek. Now. Gen. MacDonald, who was lying in a sickbed miles away had been trying to avoid any confrontation with the enemy. Although his force was larger, they were raw untrained militia. About half of them did not even have guns. Many only had swords. They expected to get muskets when they met up with the regulars. Later, MacDonald said he never would have engaged in the battle, but that’s easy to say in hindsight. But whatever the case. Lt. Col. McLeod opted to charge. His forces tried to cross over the bridge in the face of enemy fire. With the planks removed, they had to climb over the framing, allowing the patriots to shoot dozens of them as they slowly made their way over the bridge frame. Col. McLeod bravely led the charge and made it over the bridge with a few men. But not enough made it. The patriots killed at least 30 loyalists, including McLeod. The remaining loyalists decided that slowly climbing over the bridge in the face of enemy fire was not for them, and fled. Caswell then had the patriot militia put back the bridge planks and crossed back over the creek to pursue the fleeing militia. The patriots captured about half of the attacking force, with the other half scattering and presumably making their way home. Caswell’s patriot militia also captured the main camp with all its supplies, including guns, ammunition and a large amount of gold that the British had been using to recruit volunteers. The patriots also took the ailing Gen. MacDonald prisoner. Only two patriots had been wounded in the battle, one of them dying a few days later. The entire battle had only lasted a few minutes, although they spent most of the rest of the day tracking down loyalists who had fled the battle and were hiding all over the area. Col. Moore arrived later that day, frustrated that he had missed the battle, but took command of the aftermath. Moore agreed to allow most of the loyalist soldiers to return home, after taking an oath not to take up arms again against the patriot cause. Those who refused the oath had to put up a bond and agree to leave the colony within 60 days. Even those who escaped capture were subject to these conditions. The patriots had captured Gen. MacDonald’s muster roles and knew the name of every man who had volunteered for the loyalists. The officers became prisoners of war. They sent British Gen. MacDonald north, where he would be exchanged a few months later for Continental General captured during the Battle of Long Island. Col. Moore, did not fight in the battle, but received credit for the winning strategy. Congress promoted him to brigadier general. Gen. Clinton finally arrived at Cape Fear on March 12, along with Governors Martin and Campbell from North and South Carolina. They heard about the loyalist defeat at Moore’s Creek Bridge, but had little to do until Gen. Cornwallis’ fleet arrived from Ireland. The fleet would not begin to arrive until the end of April due to bad weather. Cornwallis himself would not arrive until the beginning of May. So Clinton had to spend about six weeks sitting off the coast, occasionally sending landing parties on shore to collect food for his troops. Moore brought Continentals from the First and Second North Carolina Regiments to the coast, attacking Clinton’s raiding parties and firing cannon at the ships if they got too close to shore. Similarly, Clinton’s ships would fire at any patriots that came to the shore line. Not much came of these raids. 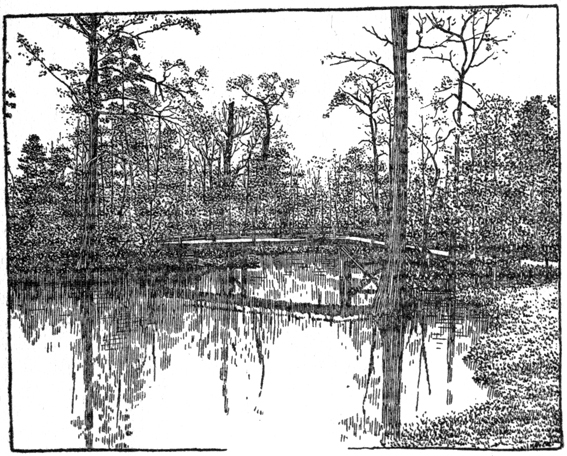 On April 6, a British raiding party caught a continental officer and five soldiers off guard at Brunswick Town North Carolina. The captured all six Continentals and brought them back to the British fleet as prisoners. Once Cornwallis arrived in May, the generals decided on a new course of action. Both forces were tired and hungry from months aboard ship. Clinton issued a general pardon for any rebels who would affirm their allegiance to the King. But, like Gage’s similar offer in Boston, even those who might have been inclined to remain loyal feared the wrath of the patriots controlling the colony far more than the regulars who could not even gain a toehold on land. On May 12, Cornwallis raided the coastal plantation of Col. Robert Howe, burning his home and stealing about 20 cattle. 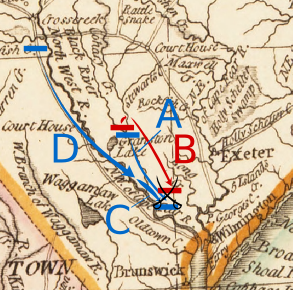 They hit a few other coastal raids, including a return to Brunswick Town, where they burned most of the town. But without the promised thousands of loyalist militia to support them, Clinton and Cornwallis could not hope to establish British control of the colony. Knowing that they would soon have to return to Howe in a few months, they gave up on retaking North Carolina that year and moved on to South Carolina. That will be the subject of a future episode. The Battle of Moore’s Creek Bridge is sometimes called the Lexington of the South. I think that is a bit of an overstatement, but the battle did have some importance. Although patriots had already taken control of the Southern colonies, the battle prevented any sort of loyalist counter-uprising that many strategists in London had hoped would turn the tide of the war. Coming in February 1776, the patriots got a big morale boost following the failure to take Quebec in January and with the continuing standoff around Boston. For North Carolinians, it sealed their fidelity to the patriot cause. Less than two months later, North Carolina became the first colony to instruct its delegates to the Continental Congress to vote for independence. In London, the loss was seen as a disappointment, but given that it was only loyalist militia, not regulars involved, it was not seen as that big of a deal. Strategists saw it as a setback, but still hoped to rally loyalists to the cause under new leadership at some future date. However, the British realized that retaking the South would not be easy. They would not make another serious attempt to retake the Carolinas for four years. Vol. 30, No. 1 (Jan., 1953), pp. 23-60 https://www.jstor.org/stable/23516672 (free to read with registration). Powell, William Chronolog of the American Revolution in North Carolina, Raleigh: North Carolina Dept. of Cultural Resources, Div. of Archives and History, 1975. Wright, Joshua G. Address delivered at the celebration of the battle of Moore's Creek Bridge, February 27th, 1857. Wilmington, NC, Fulton & Price, 1857. Fleming, Thomas 1776: Year of Illusions, New York W.W. Norton & Co. 1975. Rankin, Hugh F. The North Carolina Continentals, NC Society of Cincinnati, 1971 (book recommendation of the week). Russell, David Lee The American Revolution in the Southern Colonies, Jefferson, NC: McFarland Publishing, 2000.